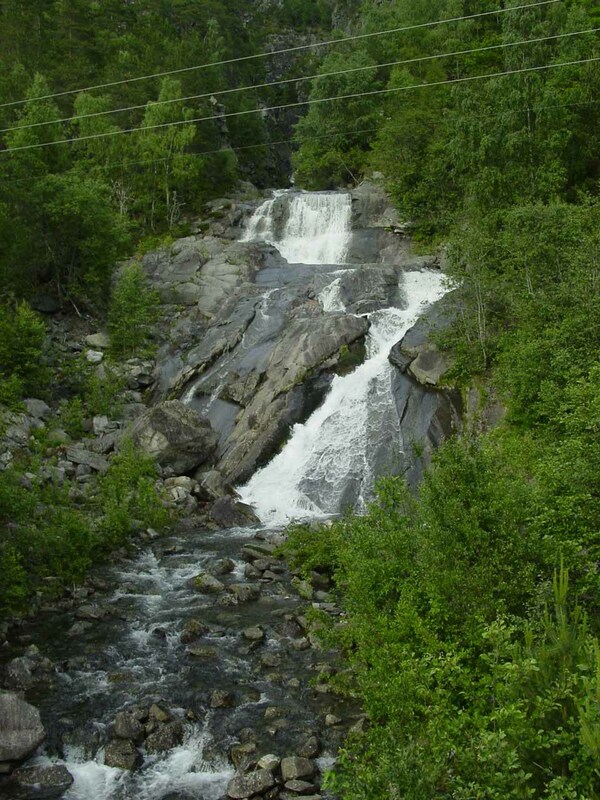 Muldalsfossen was a tall 200m waterfall that I anticipated seeing ever since I came across it during my pre-trip research. 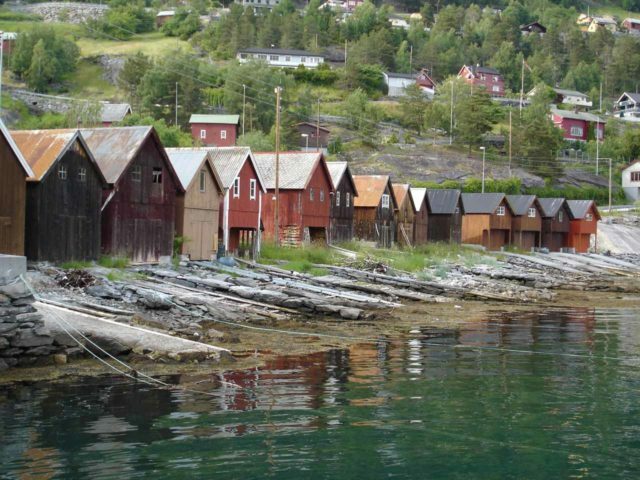 This was anticipation was further reinforced after seeing it again on some tourism brochures I picked up during our trip to Norway in June and July 2005. 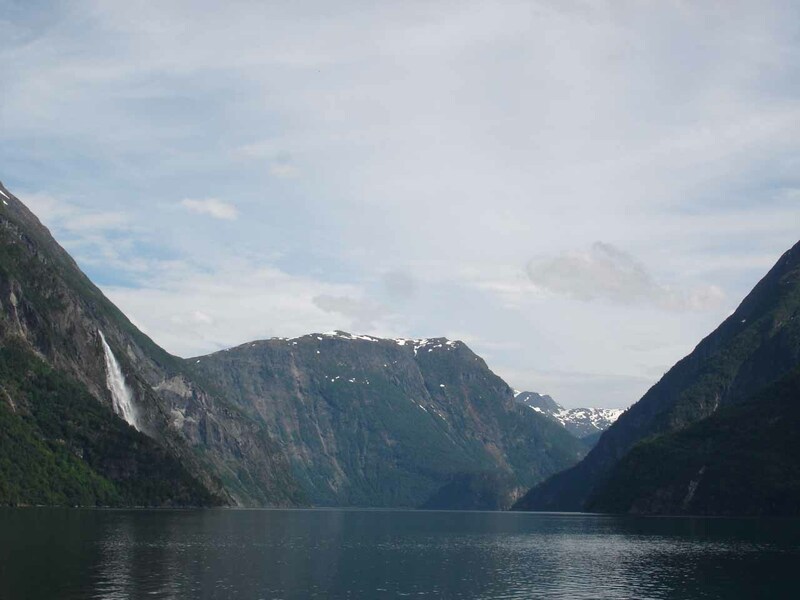 One of the big reasons why it might have had a lot of literature devoted to it was that the waterfall was said to be one of Norway’s tallest freefalling waterfalls. Unfortunately, when I got to the falls, I was unable to get a satisfying view of it. 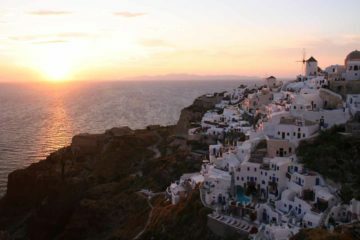 The photo you see above was my best photo, but it definitely left me unfulfilled and wanting more. 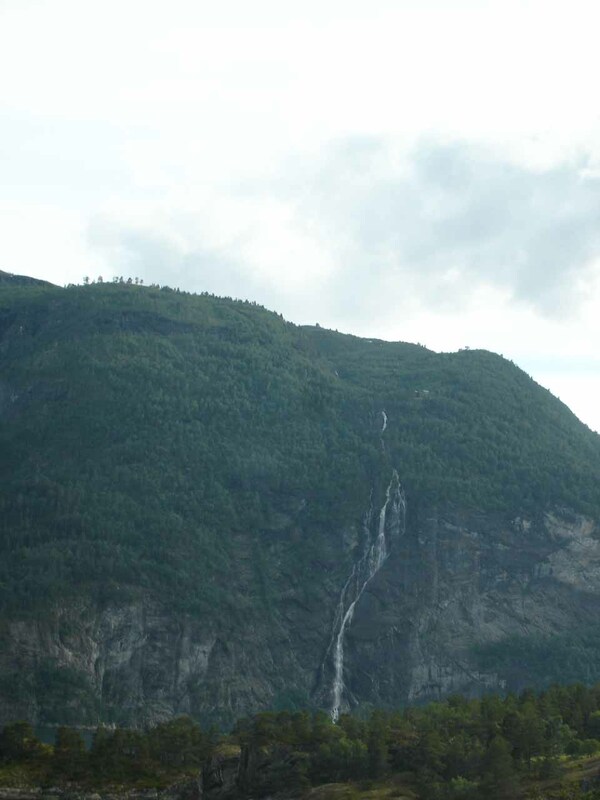 That said, I was able to get a nice view of another impressive waterfall directly across the Tafjord which appeared to belong to the stream Slufsa (either that or it was in Pinå; it was hard to tell). 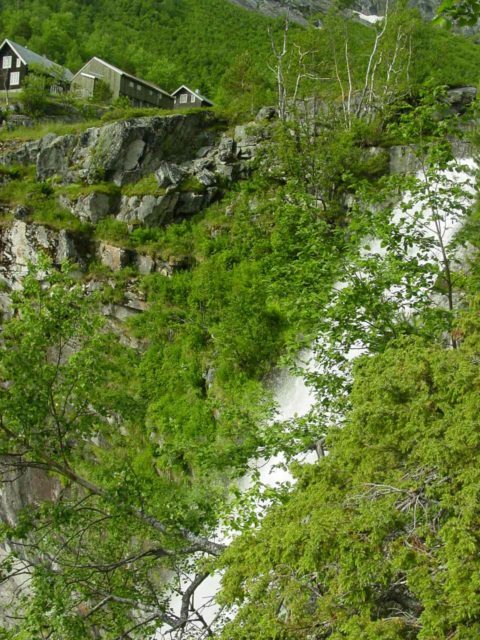 I’ve informally called it “Slufsafossen”, but it could very well be called “Pinåfossen”. Anyhow, back to the Muldalsfossen experience, it began with a hike from a dedicated car park (see directions below). 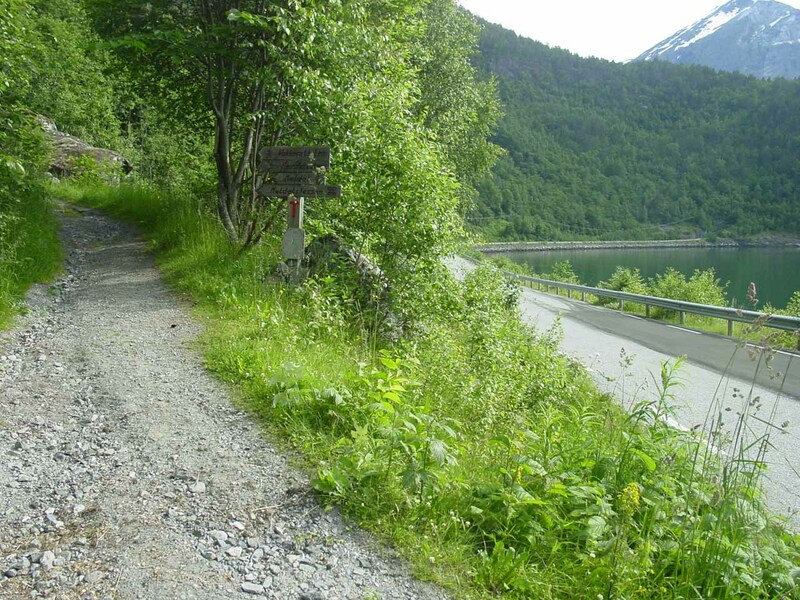 After leaving the car, I had to walk along the local road 92 further south crossing a bridge over the Muldalselva before I noticed a signed footpath forking to the left and immediately climbing steeply above the fjord. At that point, I began what turned out to be a tiring climb where I counted 13 switchbacks covering a length of 2km. 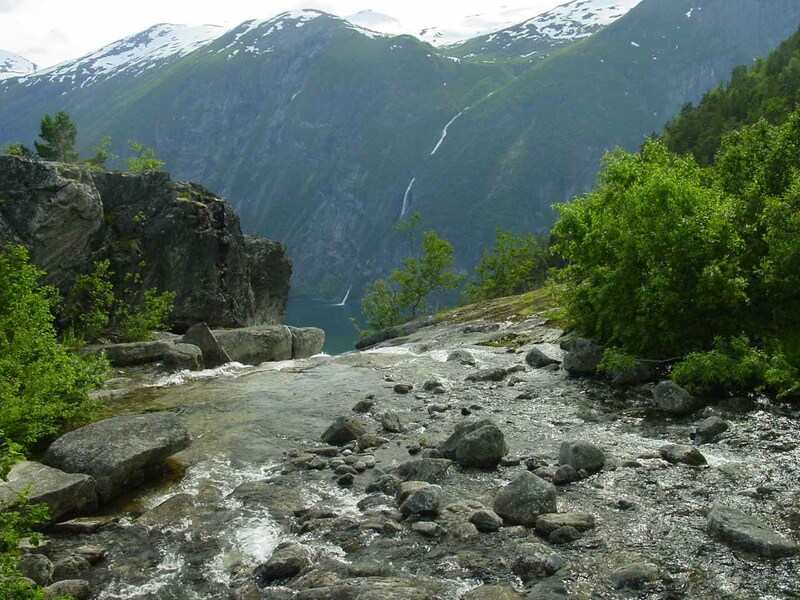 During most of this strenuous part of the hike, I got great open views across Tafjorden of the waterfall that I think was called Slufsåfossen. 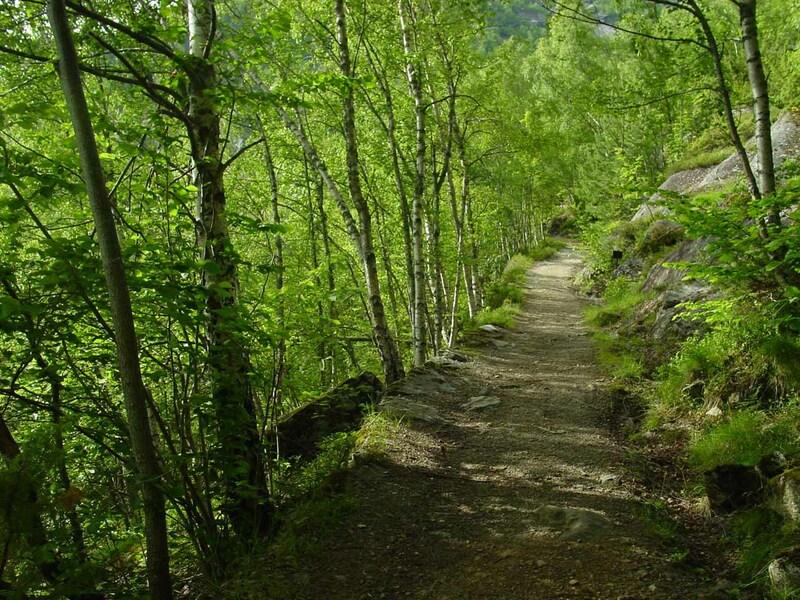 It wasn’t until I was on about the 10th or 11th switchback before I even started to get a glimpse of Muldalsfossen. However, even the views I was able to get were unsatisfying and overgrown. 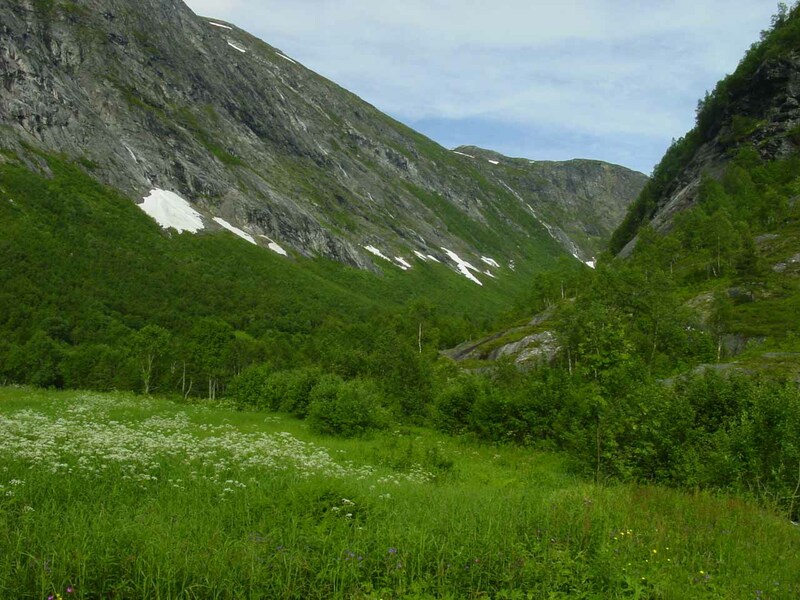 The photo you see at the top of this page was from one of those upper switchbacks. The houses you see next to the falls belonged to the Muldal Farm, which sat right of this climbing section of trail. Once I was finally done with this climb, I found myself at another bridge upstream of the top of the falls as well as next to the aforementioned Muldal Farm. 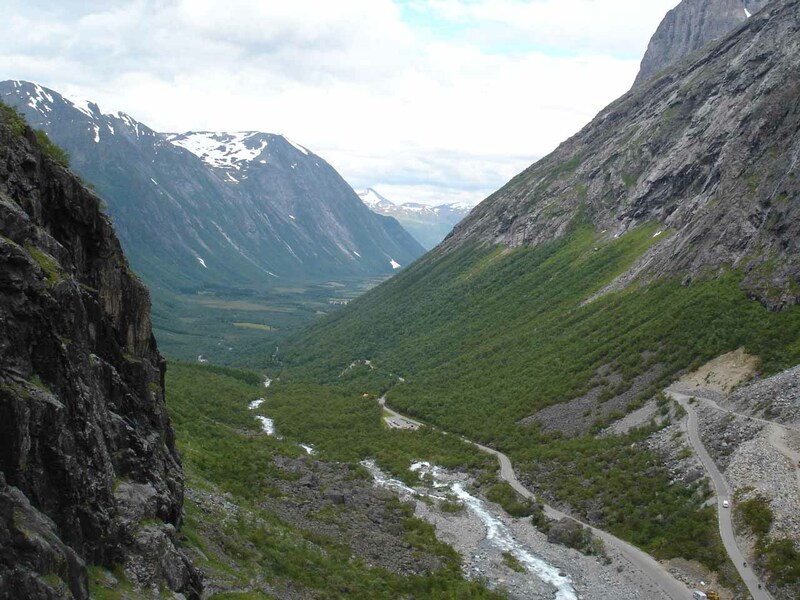 Looking further upstream, I got a glimpse of the attractive Muldalen Valley but I didn’t pursue any further hiking as Julie was waiting in the car at the trailhead. I also didn’t think I could improve my views of the falls so this was my turnaround point. Still, what bothered me was that one of the photos on a tourist brochure of Muldalsfossen showed an unobstructed view showing its entire drop. I couldn’t understand how that view was attainable and we wondered if the photographer somehow got an aerial view or something. But in hindsight, I probably should have continued exploring around the Muldal Farm area as I had read that the waterfall trail kept going (though the topo map didn’t indicate such a path). I guess one of these days, I’ll have to come back and try this hike again, this time exploring the place a bit more thoroughly. Overall, this hike took me about 2 hours total, but I bumped up the difficulty rating given how relentless the climb was. At least going back down was all downhill and I went at a far faster pace than on the way up. Also, something worth mentioning was that I saw several signs around the base of the falls at the car park indicating the possibility of floods. I wasn’t sure if this was because the river Muldalselva was regulated or if it was because the waters of Tafjorden might have seen a tsunami or two due to rockfalls plunging right into the fjord itself. In any case, it was definitely something to keep in mind. 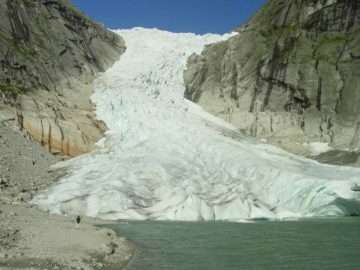 Muldalsfossen resides in the Norddal Municipality. For information or inquiries about the area as well as current conditions, visit their website or Facebook page. 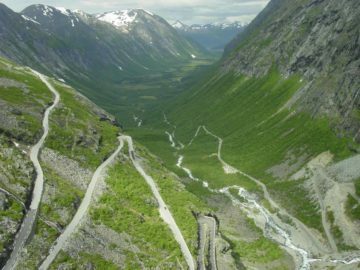 We came to this falls from the northern approach along Road 63 from Åndalsnes to Sylte via Trollstigen and Valldalen (a distance of 55km). 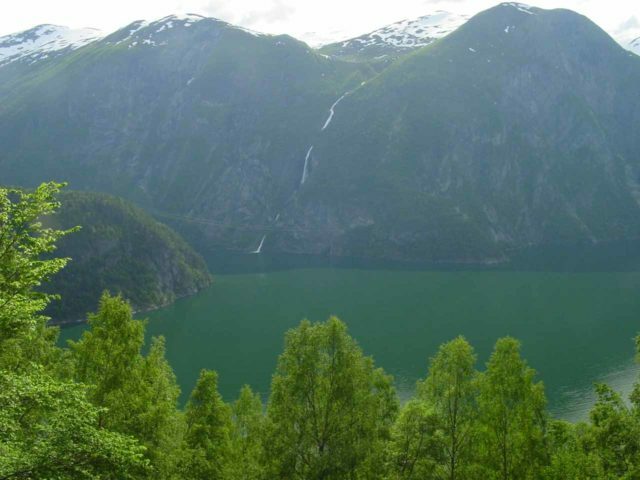 Once we got to Sylte, we then turned left and followed Tafjorden along the local road 92 for about 11km (at 7km, we had to traverse the 4km Heggurtunnelen) heading towards Tafjord. 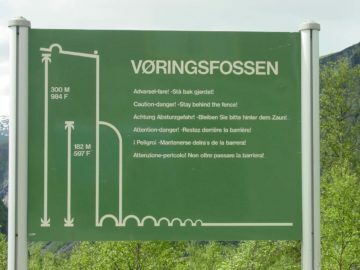 Immediately after the tunnel, the car park for the hike was on the left side. 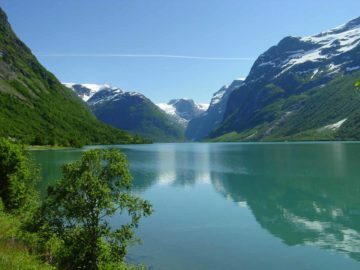 Alternatively, we could have come here from Geiranger, which would require us to drive north on Road 63 to the ferry at Norddal leading us across Norddalsfjorden to continue on the Road 63. 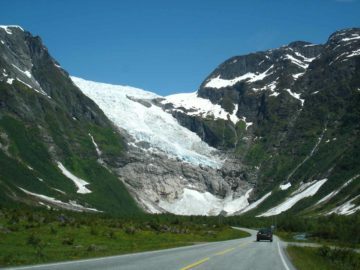 Then, we’d drive east on Road 63 towards Sylte and follow the local road 92 along Tafjorden beyond Sylte to the trailhead as mentioned above. 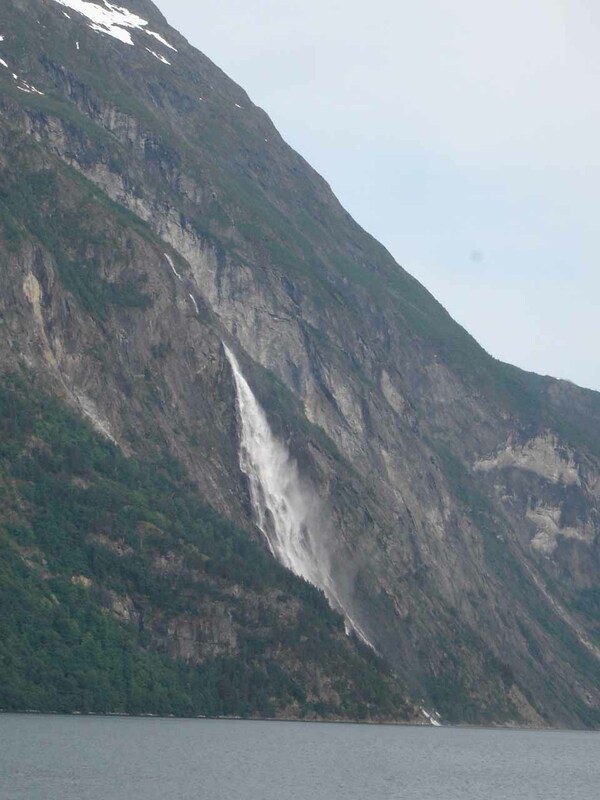 One thing worth noting was that along the local road 92, we saw some gorgeous waterfall spilling right into Tafjorden. I think the falls was called Heggurfossen, but regardless, we couldn’t get a clean look at it because we had to go through the tunnel.